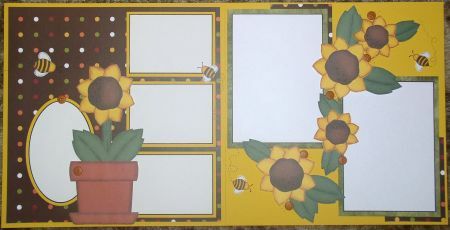 Spread a little bit of sunshine across your pages using these bright, beautiful sunflowers. 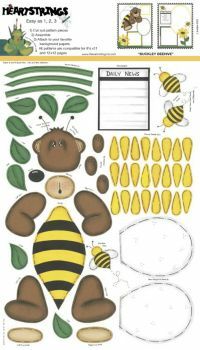 Pattern sheet includes medium and large sunflowers, flower pot and bees. 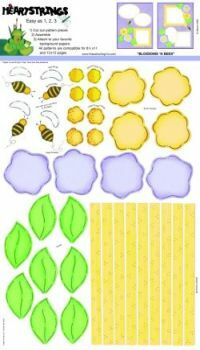 These beautiful soft yellow and lavender flowers with bright green leaves are just the right addition for many page theme options. 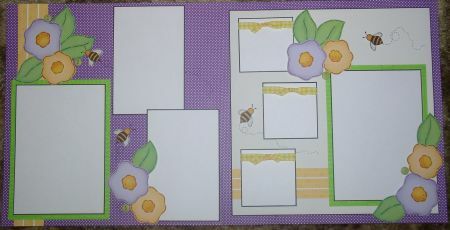 Also included are beautiful yellow frame strips you can cut to the size of your photos and four little bees for that little extra touch. 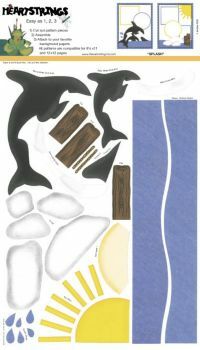 Splash includes a family of orca whales, water, rocks, pier, and sun with rays. 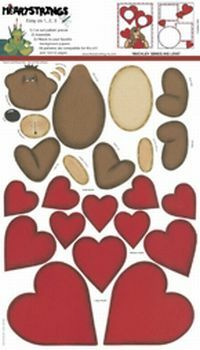 Great for Valentine's Day pages or just plain �I love you� pages this pattern includes Buckley Bear and 3 different size hearts � 12 in all. Sorry!!! ... Out of stock ! Country Lane includes Amish buggy, children, tree, country lane and split rail fence. 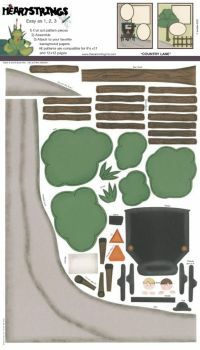 This pattern is perfect for country setting pages. 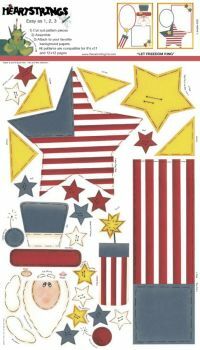 Goodnight Teddy comes with a bear sleeping on the moon, stars and a choice of five different hats and blanket colors. 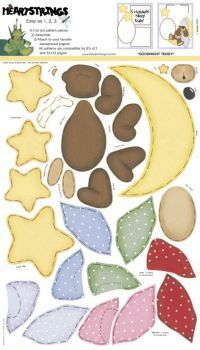 You can choose a soft pastel color to create a bear for a baby page or you can choose the bright red to create a bear for a Christmas or Valentine's Day page. 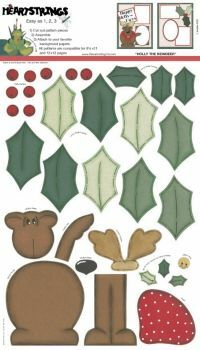 This pattern includes Holly the reindeer with several holly leaves with berries. 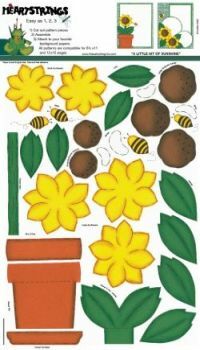 Looking for farm embellishments? Look no further . . . 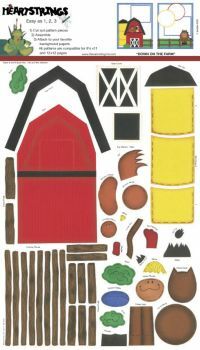 This pattern has a barn, silo, split rail fence, horse and rooster. It�s summertime, and what�s more fun than camping? 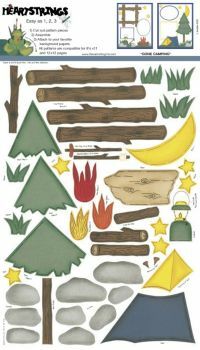 Our pattern sheet includes logs, a tree, rocks, fire pit, grass, moon and stars, lantern and a tent. 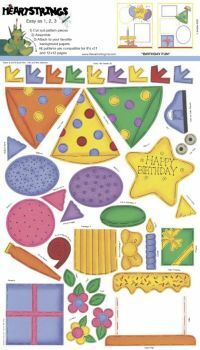 Birthday pattern includes hats, balloons, cake with decoration, presents and party favors. Not 1, not 2, but 3 adorable cats, toys, bedding and cat tower. 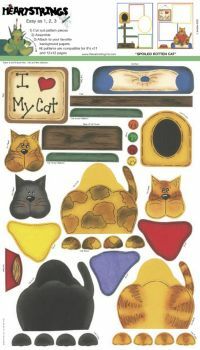 These little kittens will add the right touch to your pages. In the meadow you can build a snowman, or just play in a snow drift. 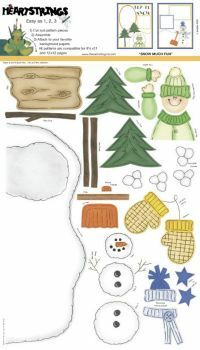 A great page for all of those winter pictures. 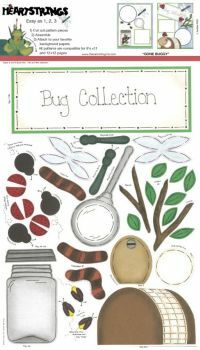 Caterpillars, lady bugs and lightening bugs OH MY! This little teddy bear bee will buzz his way into your heart. 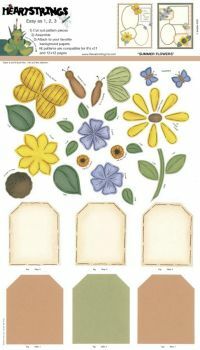 This pattern can be used as embellishments for your scrapbook or just make adorable gift tags. 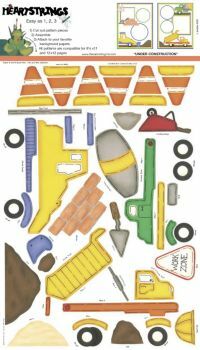 These little trucks are ready to build something. 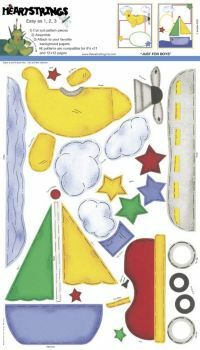 This pattern includes a plane with clouds, a boat with water and a car complete with road.